As a history teacher, I spend a lot of time discussing the cause and effects of war and its ramifications to individuals, families, communities, and nations. Today, I would like to share that I am part of a long military tradition. I am a member of the DAR whose ancient relative was a drummer boy in the Revolutionary War. Another relative was a Colonel and Civil War doctor. My step-father served in the Korean War as a UDT for the Navy. My father served in Vietnam. My ex and I served in the Navy. My niece, nephew, and daughter served in the Navy. Fortunately, we all came out of our tours of duty relatively unscathed until my son. For the Army, he served two tours in Iraq and was involved in a hummer crash. 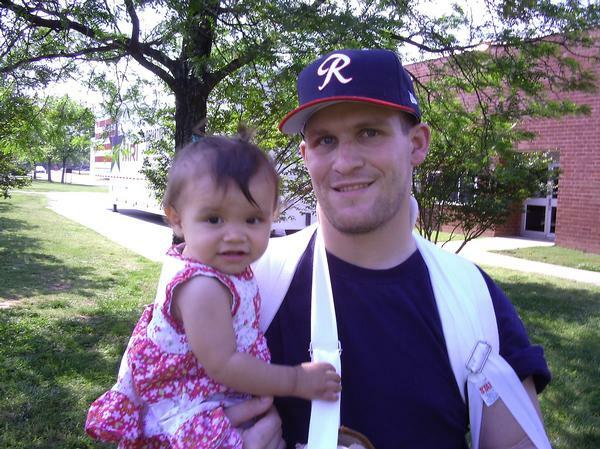 As a parent, seeing him and other wounded warriors at the Walter Reed Hospital in Maryland and the Richmond, VA brain trauma facility was humbling and excruciating. In a coma for a week, his left side was battered. I am sad in our neighborhood, our flag is the only one on the street waving. The neighboring town has not one flag hanging out and there is no commemoration service that I know of. Whether you love America or not, the flag is important to fly to show respect. This weekend, I thank my son and all the wounded warriors. I thank those soldiers from previous wars who gave the ultimate sacrifice. While it is nice we sit comfortably in our recliners watching war movies on television or throwing our Frisbee at the picnic or attending ball games and celebrating the beginning of summer, it is most important we remember the purpose of the weekend and pay homage to our fallen soldiers. While it is worrisome and depressing to focus upon the tragedies and the futility of engaging war, it is also a fact our freedom for which we enjoy today comes to us with a precious price tag. I highly recommend watching the annual Memorial Day commemoration on national television in Washington D.C. It’s hosted every year by Gary Sinise and is a moving experience. Good to see your son recovering, and interesting to hear about your family tradition in the military. My Dad was a regular soldier until 1946, but I was never inclined to follow in his footsteps. I hope that you and your family have an enjoyable holiday weekend. Thank you, Pete. He went on to get his MBA and recently passed the bar and is an attorney. When’s Memorial Day for Brits? I can’t remember. Thank you, Cindy, for the great post. I am happy for all of you and for your son’s accomplishment as well. You’ve certainly made me realize again just how precious our freedom is. 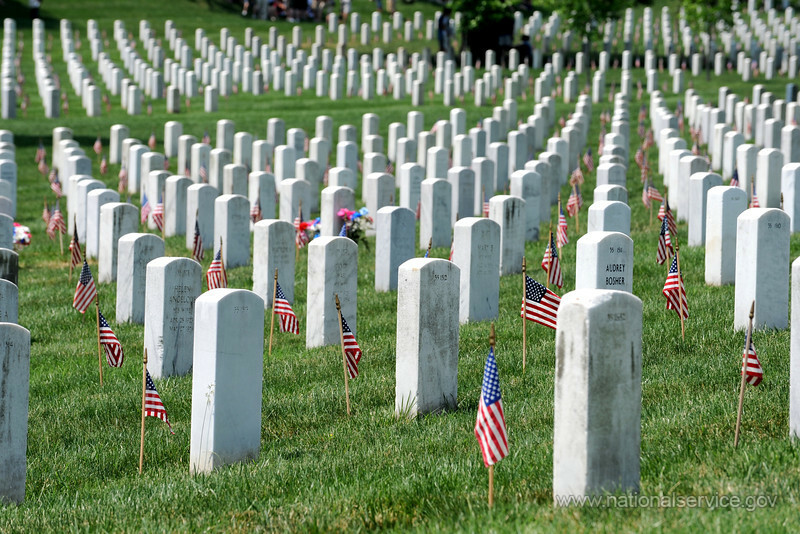 It’s an honor to reblog Cindy Bruchman’s post about Memorial Day. Cindy hails from a military tradition as well as a rich historical one. Cindy, like you, I have an ancestor who fought during the Civil War. My ancestor, Braxton Bragg, was a confederate general and it took me many years to digest that fact since I’ve always been pro-union and a Lincoln enthusiast. My husband fought in Vietnam, an unpopular war. He came home, life and medal intact, and made a good life for himself. But it made him – and me – cognizant of the cost of war. Cindy was in the service. 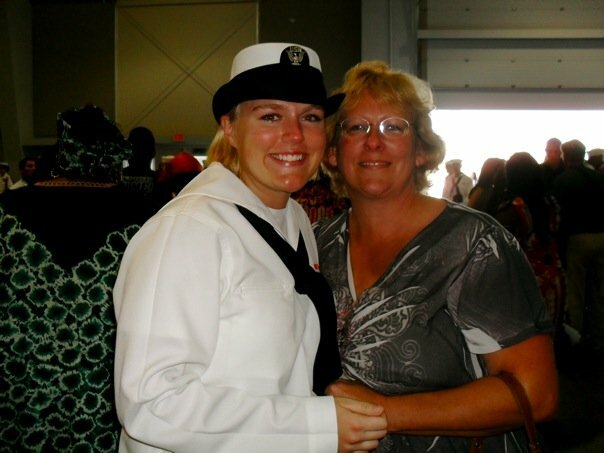 She says she came home unscathed, but her son, a veteran of the Iraq war, was not so lucky. Cindy, I salute you and your son. And I say thank you on this Memorial weekend. Cindy, forgive me – I meant to say we salute your son for his service, and I mistakenly typed ‘husband.’ I am embarrassed and sorry. I hope you know I meant your son. Bless you and yours, Cindy. Thank you. A very moving post. My husband and I both come from rich military backgrounds with history that touches every war the US has been involved in. Our youngest son is currently a lieutenant in the Coast Guard. Each year we watch the concert on TV and have been fortunate enough to have attended it. It never fails to bring tears of joy and pride in our nation’s warriors, as well as tears of grief for the wounded and for those who didn’t make it home. We visit Arlington a couple times a year. It is a humbling experience, and one which all American’s should know. Freedom isn’t free. 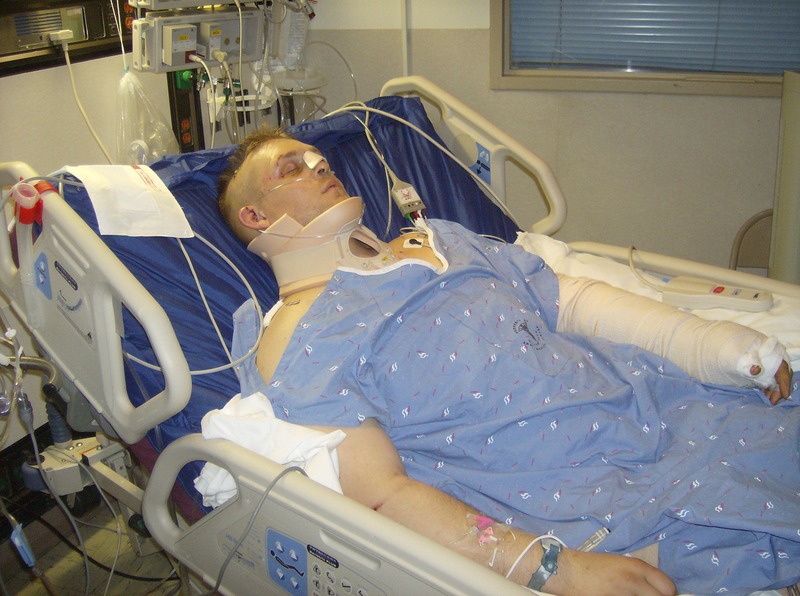 The loss of life, injury, and life-long disability is a terrible price to pay. I pray that everyone take a moment to stop and reflect on that, not just today, but every single day. My thanks to you and your family for your service. Welcome, Michelle! You said it better than I. 🙂 The ceremony on the lawn is electric, isn’t it? Bless your son for serving in the Coast Guard and three cheers to your entire family for their service. Glad to see yoyr son is doing better. Thank him for his service from us in the blogosphere. Will do, Wendell! Thank you. What a moving post. Glad to see your son recovering Cindy. That’s really great Cindy, you’re such a brave person to write about such personal experiences. Thank you for your well wishes; my son is the brave one. You’re all brave in my book and I respect you all for that. The curse of life here is that we have ‘a need, Right, and responsibility to defend ourselves’. No need for me to go into the cost of that. Thank you for sharing this personal story Cindy. I pray for continued recovery and on to even better health for your son. I thank him, as well as you and your family, for serving our country and keeping us safe. Happy Memorial Day, my friend! He’s in good shape and the pain for all concerned have become scars. Thank you, Ruth. Glad to hear you son is doing well now. We often get so caught up in the media debates around war and service (even here in Canada) that we often forget to look at the lives that are actually being impacted on a daily basis. Thanks for sharing such a personal and insightful post, Cindy! Thank you, Courtney. I wish humans did not need to war, but it seems to be intrinsic with our DNA. I like to look at the good that comes out of the chaos. Your post is brave and beautiful – as is your son, and all in your family. Thank you for sharing this. Shared this one with Tennyson, C. Hadn’t realized the North and South had done their own thing until after WW1. No words…about your son. I am just so glad he pulled through. Thank you, Diana. Our family was fortunate. He is doing well and out of the service now. Hey, I didn’t know you were a Navy girl! If you don’t mind me asking, where and when did you serve? I was stationed at Oakland Naval Hospital beginning in 1989. I was there for the big earthquake. Then I went on the USNS Mercy for Operation Desert Shield/Desert Storm. Then back to Oakland for the rest of my time. Reblogged this on Cindy Bruchman. My apologies if this is cheesy but my best wishes to your son. I hope in the past 3 years he has made a good recovery and been sucking the marrow out of life. Same goes to the family, it would have been tough for all of you. Thank also to you and your daughter for your service. He’s doing great–he became an attorney and my grands are smart and beautiful. My daughter is fine, too. As a family, we’ve all flourished in part to our service for our country. It really builds character. It certainly can and your family are a credit to it and your country.